Ever since the December/January cryptocurrency pump came to an end, the cryptocurrency market has been mostly bearish. Every attempt by the bulls to boost the prices in the market have been cut short. EOS is one of the major cryptocurrencies that has suffered the impact of the bearish market just like others. However, even if EOS is down by 23.4% it is still doing well considering the fact that the other cryptocurrencies suffered more bearish losses. A document that listed cryptocurrencies and their depreciation levels throughout the year showed that EOS has fallen by 23.4% this year. It didn’t lose as much as other cryptocurrencies in the market. The top cryptocurrencies in the market collectively fell by 74%. Qtum suffered the most bearish lose falling by 93.2%. Why Did EOS Resist The Bears? The fact that EOS didn’t fall as much as other cryptocurrencies shows that the platform was receiving a lot of money from investors. These investors didn’t just pour money in, they’ve been waiting patiently for a bullish breakout so they can get profit. Another possibility is that the EOS token has a lot of positive sentiment. EOS tokens are governed by a platform that is a part of the DPoS (Delegated Proof Of Stake) blockchain protocol. Industry experts believe that this EOS is way better that Ethereum because is is more secure and more scalable. This has also increased the interest of investors and decentralized app developers in the EOS blockchain. Even if investors have been pouring money into EOS, not everyone is happy about the issues within the EOS development community. The government behind the EOS ecosystem has been accused of poor governance. The speculations started about a week ago when a leaked screenshot revealed that Huobi, one of the EOS block producers, has allegedly been taking bribes to influence the decisions made by the EOS government. For more information about this, read this article on smartereum.com. 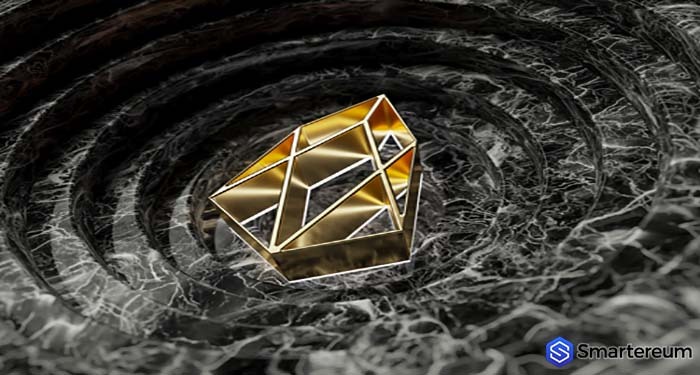 While the claims are yet to be verified, investors are becoming skeptical about the EOS block producers and the entire governance of EOS. Bribery is a breach of trust against investors and it stands against everything EOS claims to be. This would qualify as vote buying which is currently outlawed on the EOS ecosystem. 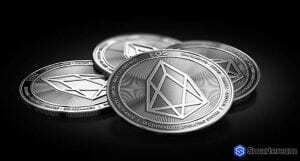 While these accusations didn’t negatively affect the price of EOS, it has most likely disheartened a lot of investors. Should a sell off take place on this account, the price of EOS will move back to the $10.00 level and trade lower. Block.one will need to process an in depth explanation about the scandal to put the rumors to rest and reestablish the trust of investors. Huobi should also give a more precise explanation regarding why they were mentioned in such a scandal. When this issue has been sorted out, EOS will continue to thrive even amid a bearish market.